Wrinklex® is a peptide cream, with Vitamin A, Vitamin B, Calcium, Niacinamide, Tocopherols, and micro-collagen, which has shown a reduction of up to 46% in depth of wrinkles! 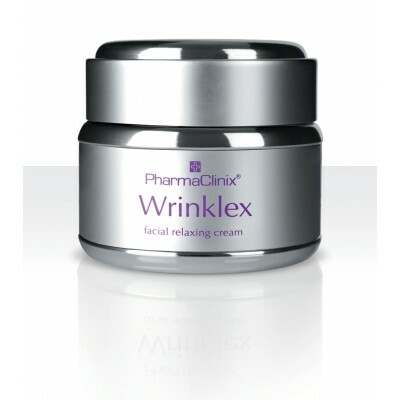 Wrinklex® is the only anti aging cream developed for darker skin. Wrinklex® is a peptide cream, with Vitamin A, Vitamin B, Calcium, Niacinamide, Tocopherols, and micro-collagen, which has shown a reduction of up to 46% in depth of wrinkles! 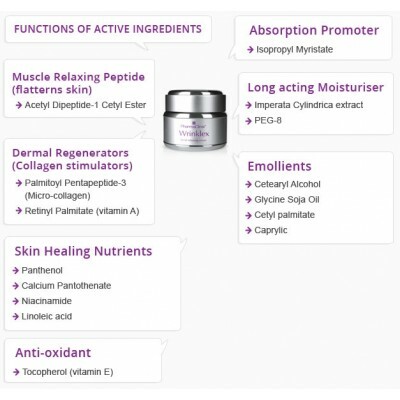 It is designed to penetrate the denser ethnic skin and deliver the peptide to target areas under the cellular level. 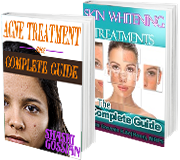 This not only reduces the existing wrinkles, but also slows down the wrinkling process. It is a muscle relaxant peptide creams that is an alternative to painful Botulinum injections! Massage WRINKLEX® cream to the freshly cleansed face until fully absorbed. Massage MOISTURIX® SPF 25 to lock in WRINKLEX®. Massage gently and wait five minutes.